There are many variations of these out there, SSilence/php-imap-client is a lib with a nice set of methods, clean integration and pretty good documentation. Adding it to my goto essentials ! 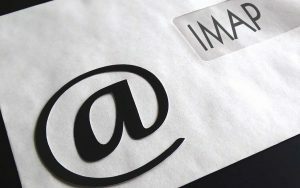 ALL All messages in the mailbox; the default initial key for ANDing. ANSWERED Messages with the \Answered flag set. BCC Messages that contain the specified string in the envelope structure's BCC field. BEFORE Messages whose internal date (disregarding time and timezone) is earlier than the specified date. BODY Messages that contain the specified string in the body of the message. CC Messages that contain the specified string in the envelope structure's CC field. DELETED Messages with the \Deleted flag set. DRAFT Messages with the \Draft flag set. FLAGGED Messages with the \Flagged flag set. FROM Messages that contain the specified string in the envelope structure's FROM field. HEADER Messages that have a header with the specified field-name (as defined in [RFC-2822]) and that contains the specified string in the text of the header (what comes after the colon). If the string to search is zero-length, this matches all messages that have a header line with the specified field-name regardless of the contents. KEYWORD Messages with the specified keyword flag set. LARGER Messages with an [RFC-2822] size larger than the specified number of octets. NEW Messages that have the \Recent flag set but not the \Seen flag. This is functionally equivalent to "(RECENT UNSEEN)". NOT Messages that do not match the specified search key. OLD Messages that do not have the \Recent flag set. This is functionally equivalent to "NOT RECENT" (as opposed to "NOT NEW"). ON Messages whose internal date (disregarding time and timezone) is within the specified date. OR Messages that match either search key. RECENT Messages that have the \Recent flag set. SEEN Messages that have the \Seen flag set. SENTBEFORE Messages whose [RFC-2822] Date: header (disregarding time and timezone) is earlier than the specified date. SENTON Messages whose [RFC-2822] Date: header (disregarding time and timezone) is within the specified date. SENTSINCE Messages whose [RFC-2822] Date: header (disregarding time and timezone) is within or later than the specified date. SINCE Messages whose internal date (disregarding time and timezone) is within or later than the specified date. SMALLER Messages with an [RFC-2822] size smaller than the specified number of octets. SUBJECT Messages that contain the specified string in the envelope structure's SUBJECT field. TEXT Messages that contain the specified string in the header or body of the message. TO Messages that contain the specified string in the envelope structure's TO field. UID Messages with unique identifiers corresponding to the specified unique identifier set. Sequence set ranges are permitted. UNANSWERED Messages that do not have the \Answered flag set. UNDELETED Messages that do not have the \Deleted flag set. UNDRAFT Messages that do not have the \Draft flag set. UNFLAGGED Messages that do not have the \Flagged flag set. UNKEYWORD Messages that do not have the specified keyword flag set. UNSEEN Messages that do not have the \Seen flag set. is earlier than the specified date. This is functionally equivalent to "(RECENT UNSEEN)". is within the specified date. timezone) is earlier than the specified date. timezone) is within the specified date. timezone) is within or later than the specified date. is within or later than the specified date. unique identifier set. Sequence set ranges are permitted.